All raffles must be approved by Midwest Horse Fair staff to ensure that only credible raffles are offered. If money is exchanged for a raffle ticket the raffle application and fee must be submitted to Midwest Horse Fair in addition to complying with the State of Wisconsin Statutory requirements. You may hold free drawings and prize giveaways without submitting a raffle application. A copy of both sides of raffle ticket. Please submit requirements to Midwest Horse Fair, PO Box 128, Columbus WI 53925. 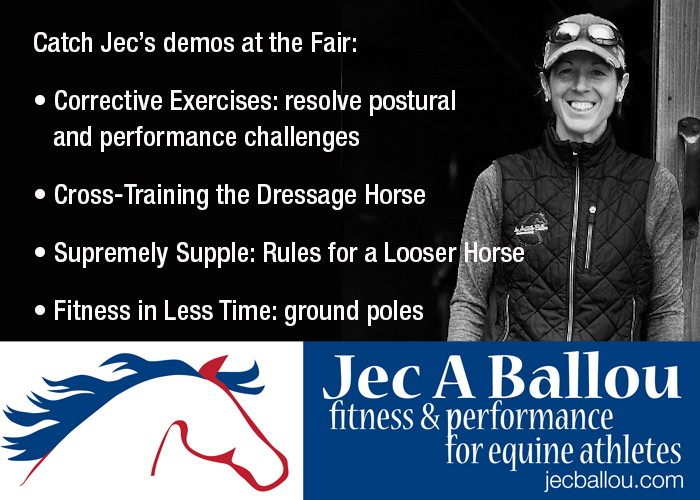 Materials may also be emailed to nichole.glynn@midwesthorsefair.com or faxed to 920-623-5454. All raffles must be approved by Midwest Horse Fair to ensure that only credible raffles are offered. If money is exchanged for a raffle ticket, the raffle application and raffle fee must be submitted to Midwest Horse Fair in addition to complying with the State of Wisconsin statutory requirements. Only commercial exhibitors or breed and discipline groups are permitted to hold a raffle. Provide a copy of the Wisconsin State Raffle Application. Provide a copy of both sides of the raffle ticket. After winners are chosen, please provide names to be listed on the Midwest Horse Fair website. Winner’s names can be emailed to nichole.glynn@midwesthoresefair.com. Please email nichole.glynn@midwesthoresefair.com or call 920.623.5515 with any questions or concerns. Wisconsin raffle license information and forms can be found at the State of Wisconsin – Department of Administration website at https://doa.wi.gov/Pages/AboutDOA/Gaming.aspx or by contacting: State of Wisconsin, Department of Administration, Division of Gaming, PO Box 8979, Madison, WI 53708-8979, 608.270.2552, 800.791.6973, or fax 608.270.2564. Raffles will be listed in alphabetical order, naming the group, raffle drawing location and date, along with the 1st place prize. Credit card payment may be made by calling the Midwest Horse Fair office at 920.623.5515 or through the Midwest Horse Fair website, www.midwesthorsefair.com.